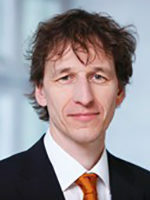 Philipp Rudolf von Rohr is professor for process engineering at ETH Zurich since 1992. He has extensive experience as leader in different fields, for example as head of a chemical plant producer (1989-1992), department head of D-MAVT (1999-2001), research council at SNF since 2010 and expert at CTI since 2008. Already during his PhD he started with energy efficiency investigations by optimizing a cooling cycle in industry. His research is focused on transport phenomena of heat and mass transfer. Main achievements are continuous and energy efficient processing in different fields of application. Currently, new process routes are investigated for carbon dioxide hydrogenation and for wood pre-treatment to valorise the production of monomers and biofuel. Stefan Bertsch completed his degrees (M.Sc., Ph.D.) in Switzerland and the USA in the field of systems and mechanical engineering. Since August 2008 he works as a lecturer for thermodynamics and refrigeration at the Interstaatliche Hochschule für Technik Buchs NTB. Since 2009 he is heading the Institute for Energy Systems. The institute is active in the field of thermal and electrical energy systems with a focus on sustainable and renewable energies. 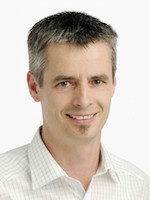 Stefan Bertsch’ research interests are mainly in the field of heat pumps and their components. Electronics cooling and two-phase flows complement his repertoire in research. Lately, he also takes care of the integration and combination of environmentally friendly heating systems and the system “house”. 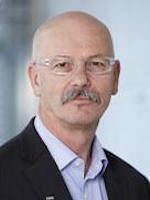 Marco Mazzotti has been professor of process engineering at ETH Zurich since May 1997 (associate until March 2001 and Full Professor thereafter). He holds a Laurea (MSc, 1984) and a Ph.D. (1993), both in Chemical Engineering and from the Politecnico di Milano, Italy. 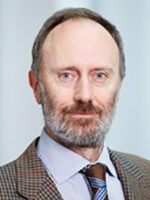 Before joining ETH Zurich, he had worked five years in industry (1985-1990), and had been Assistant Professor at the Politecnico di Milano (1994–1997). He was coordinating lead author of the IPCC Special Report on CCS (2002-2005). He was President of the International Adsorption Society (2010–2013) and is Chairman of the Working Party on Crystallization of the EFCE (since 1.07.2014). He is Chairman of the Board of the Energy Science Center of the ETH Zurich (since 1.11.2011) and one of the six Executive Editors of Chemical Engineering Science (since 1.1.2012). He was a contributor to the Nobel Peace Prize for 2007 awarded to the Intergovernmental Panel on Climate Change (IPCC). He was the recipient of an honorary doctorate from the Otto von Guericke University Magdeburg, Germany (2014). Eberhard Morgenroth holds an MS (University of California 1994), Dipl.-Ing. (Technical University of Hamburg-Harburg 1995), and PhD (Technical University of Munich 1998), all in civil and environmental engineering. After two years of postdoctoral research at the Technical University of Denmark he was a professor at the University of Illinois at Urbana-Champaign (2000 to 2009). Since 2009 he is a Professor for Process Engineering in Urban Water Management with appointments at ETH Zürich and at Eawag. At Eawag he is head of the process engineering department. His research interests include wastewater treatment, membrane bioreactors for water reuse, control of biofilms, biofilm reactors, biological drinking water treatment, decentralized wastewater treatment, and energy recovery from wastewater and organic residuals. He is an editor for Water Research and for Water Science & Technology. Martin K. Patel is full professor at the University of Geneva where he holds the Chair for Energy Efficiency since September 2013. His research deals with energy savings and emission reduction in industry, the built environment and at the interface between energy supply and energy demand. This includes the environmental and the economic assessment of technologies, processes, products and services as well as the evaluation of policy programmes. Next to energy efficiency, bio-based products represent a particular focal area of his work. The research methods applied include techno-economic modelling (simulation), Life Cycle Assessment, economic assessment (micro & macro) and policy analysis. 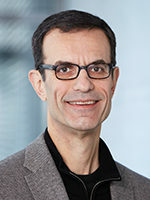 Dimos Poulikakos holds the Chair of Thermodynamics at ETH Zurich, where in 1996 he founded the Laboratory of Thermodynamics in Emerging Technologies in the Institute of Energy Technology. He was a Member of the Research Commission of ETH (2001-2005). He served as the Vice President of Research of ETH Zurich in the period 2005-2007. 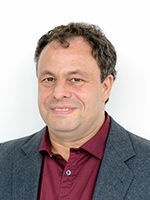 Professor Poulikakos was the ETH director of the IBM-ETH Binnig-Rohrer Nanotechnology center, a unique private-public partnership in nanotechnology at the interface of basic research and future oriented applications (2008-2011). He served as the Head of the Mechanical and Process Engineering Department at ETH Zurich (2011-2014). After obtaining his diploma in mechanical engineering from EPFL in 1999 Jürg Schiffmann co-founded a start-up company dedicated to the design of gas-lubricated bearings. 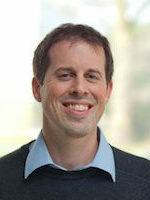 In 2005 he joined Fischer Engineering Solutions where he led the development of small scale, high-speed turbomachinery. In parallel he worked on his PhD which he obtained from EPFL in 2008. He then joined the Gas Turbine Lab at MIT as a postdoctoral associate where he worked on foil bearings before being nominated professor at the Ecole Polytechnique Fédérale de Lausanne 2013. His research is focusing on integrated mechanical design and optimization approaches for advanced energy conversion systems based on small-scale turbomachinery. Beat Wellig studied chemical engineering at the University of Lucerne and mechanical engineering at the Swiss Federal Institute of Technology (ETH) Zurich. He earned his doctorate at the Institute of Process Engineering at ETH Zurich in the field of high-pressure process technology. 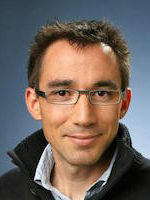 Afterwards he worked as a postdoctoral fellow and lecturer in Chemical Engineering and Heat Transfer at the ETH Zurich. From 2003 to 2006 he worked as project manager and technical specialist in the fields of environment, energy and building technology at Ernst Basler + Partner AG. Since 2006 Beat Wellig is professor of thermodynamics, process engineering and environmental engineering at the Lucerne University of Applied Sciences and Arts – Engineering and Architecture. He also directs the CC Thermal Energy Systems and Process Engineering. The focuses of his research work are thermal separation processes and environmental engineering, process integration and Pinch analysis, and heat pumps and cooling systems. Carsten Wemhöner graduated in mechanical engineering at RWTH Aachen, Germany. Since 2012 he is working as professor for building and energy technologies at the HSR University of Applied Sciences Rapperswil. 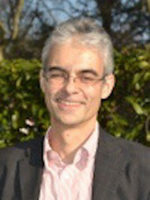 In his career he chaired different international research and development projects, including different Annex projects in the IEA Technology Collaboration Programme on Heat Pumping Technologies (HPT). He also contributed to the CEN standardi­sation in the frame of the European Energy Performance of Buildings Directive EPBD. His present research is related to heat pumps, system integration, high performance buildings and energy-efficient technologies for the built environment.